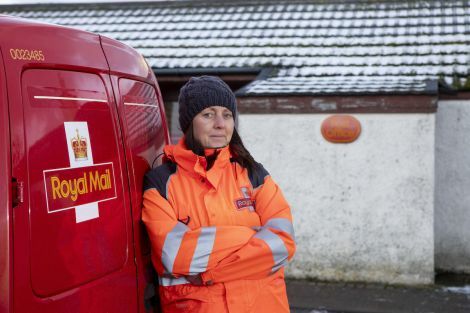 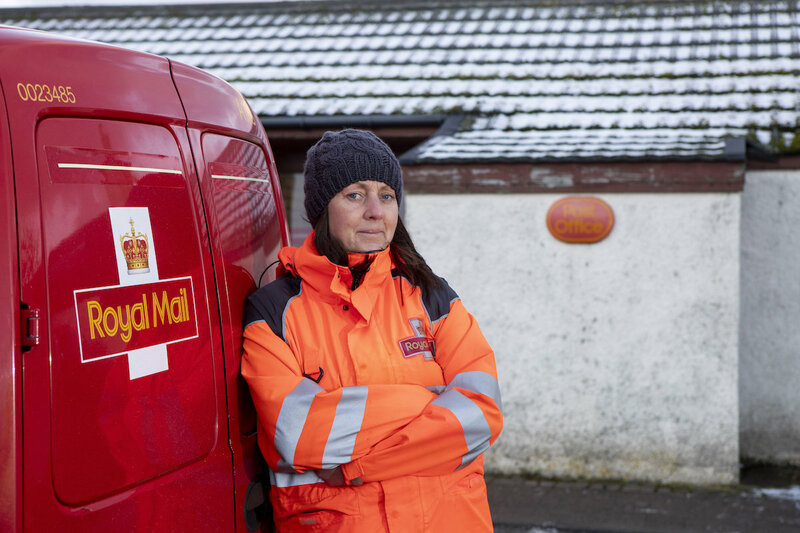 Royal Mail postwoman Michelle McCulloch serves the UK’s most northerly postal route. 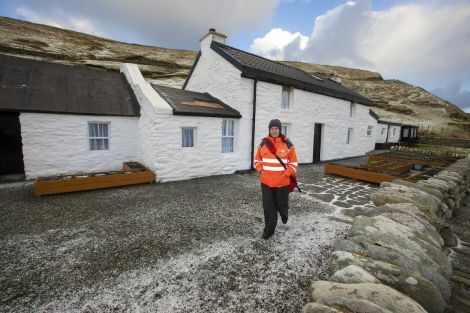 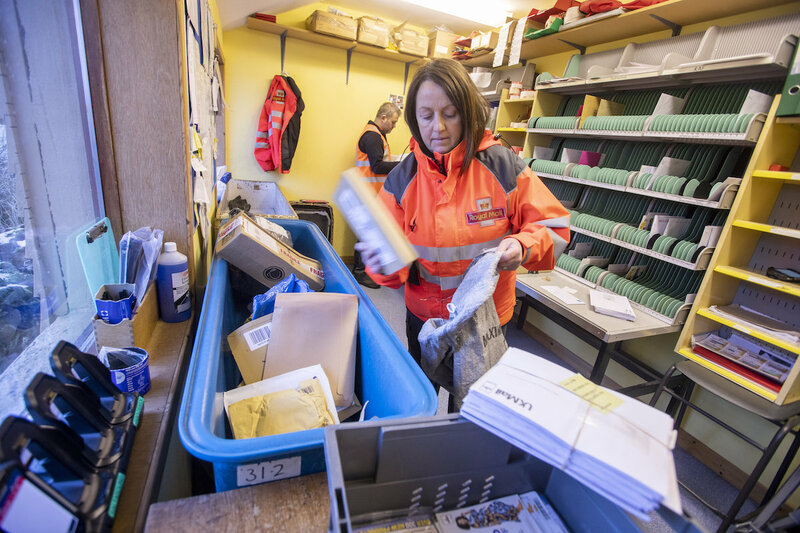 ROYAL Mail has embarked on a national campaign promoting its services by featuring the country’s most northerly postwoman Michelle McCulloch as she delivers the mail between Baltasound and Norwick, on Unst. 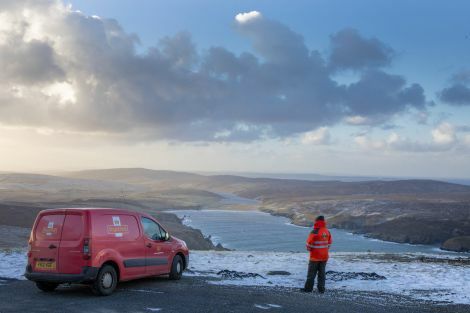 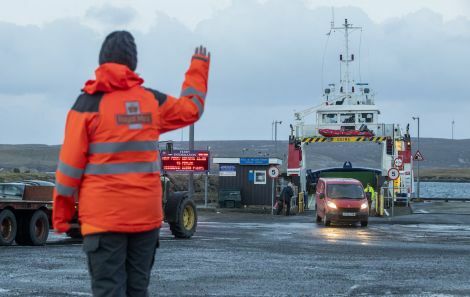 Described as the most northerly postal route in the UK, the mail arrives at the Baltasound post office via two ferry rides before McCulloch starts her delivery round “by both van and foot”. Michelle meets Euan Jamieson with post from the mainland at Belmont Ferry Terminal, Unst.